Training & route master Cricky had planned a very hilly 40 mile loop which meandered along the southerly coast of the Isle and then back through the gorgeous quiet country lanes of the middle section, which totalled over 4000ft of climbing. 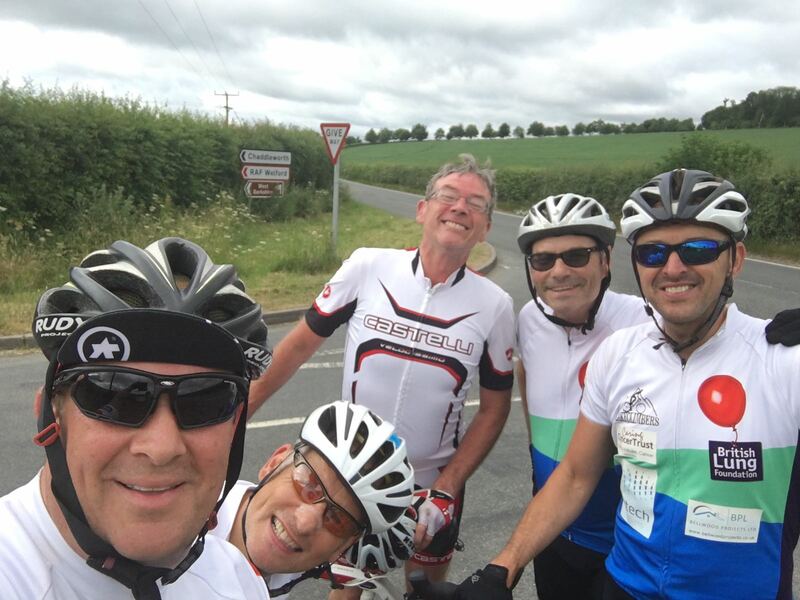 They cycled into Sandown along the sea front and onto the picturesque Shanklin before hitting the first big climb, Cowlease Hill and onto Ventnor. It was soon very apparent that Ben’s huge weight loss was paying dividends as he climbed at a new faster pace with a huge smile on his face. 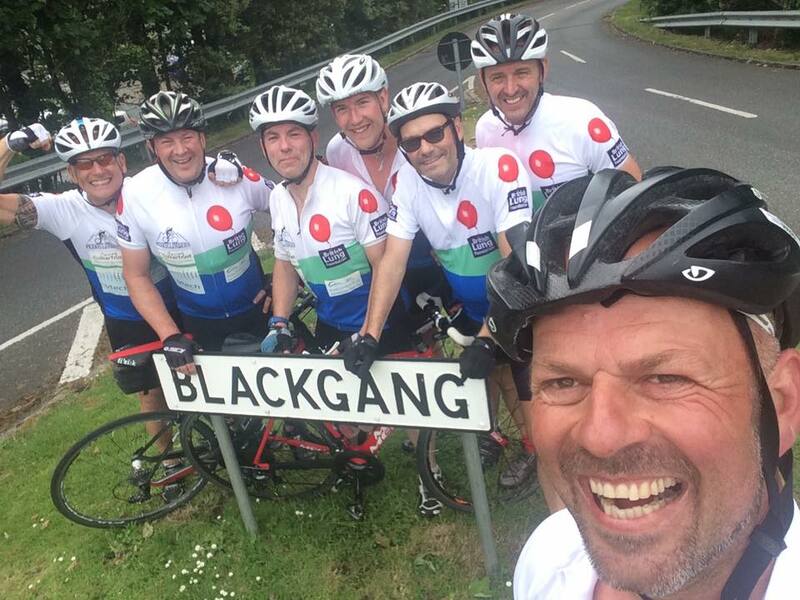 The boys then climbed out of Ventnor via Institute Hill and headed to Blackgang Chime, then headed in land to Chale Green where an eagled eyed Macca spotted a café for a cheeky coffee & toasted tea-cake break. The next 15 miles the boys saw less than 5 cars as they undulated through breath taking country lanes and onto Godshill, then steadily climbing before dropping back into Bembridge for lunch time. Lunch was taken at the Crab & Lobster with the pleasure of Clive & Sam Robson, Steve Aram, Suzie Dalgleish whos companies, Bellwood Projects & vTech Systems, are our Corporate Sponsors. In addition, Mandy Boaler, Nicky & Jai McIntosh also attending lunch together with Stewie’s family before returning back to camp to meet the children on their arrival. The Peaky’s had been briefed beforehand by CCT’s Ian & Chris to encourage talking about their illness & brave battles against cancer, this was an experience the boys will never ever forget, as the children showed maturity above their age whilst telling their stories of the treatment they had gone through. Next on the agenda was a camp fire with guitars & marsh mellows and a huge game of football, with the Peaky’s getting a right thumping. 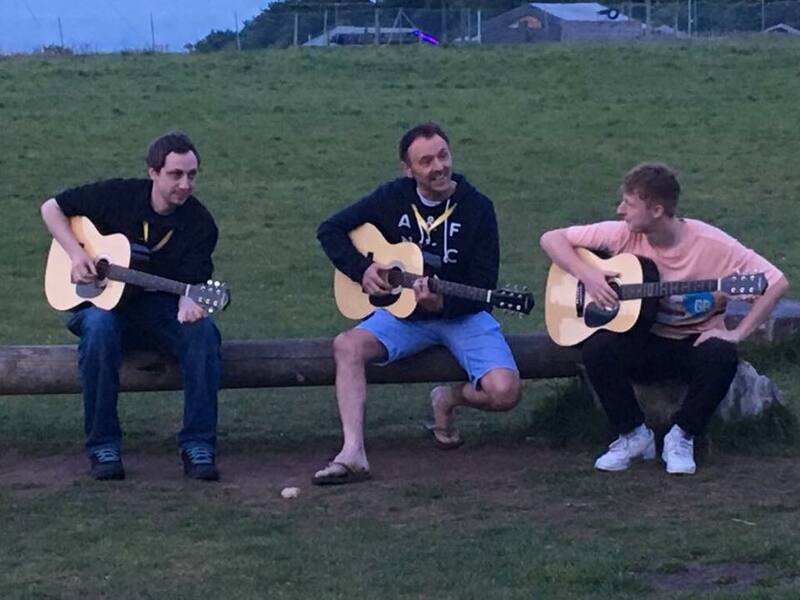 As the night drew in the final treat was a Peaky singsong courtesy of Nobby & Jai’s guitar skills with a rather out of tune Peaky Climbers choir rendition of ‘Sit Down’. Instantly the Peaky’s had bonded with these amazing children and already the mammoth challenge ahead of the team started to have a more clearer & heart felt purpose.